Born in Cincinnati in 1914, Tyrone Power descended from a long line of performing artists. 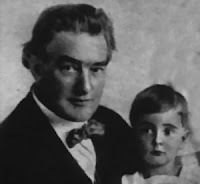 His father, born Frederick Tyrone Power in England and billed as Tyrone Power, was a Shakespearean actor and his father was concert pianist Harold Power, son of celebrated Irish actor Tyrone Power. Tyrone Edmund Power was born May 5, 1914 to his 45-year-old father and his second wife, Emma (known as Patia Power). Young Tyrone and his sister, Anne, were the esteemed actor’s only children. Power, Sr., and Patia, who had shared the stage with him from time to time, divorced in 1920. The actor soon remarried and continued his stage and movie career while his ex-wife cared for the children and worked as a voice and drama coach. It was at age 17 when he was just out of high school that the younger Tyrone Power was able to spend some months with his father. Encouraged by his parents, he had begun acting early in life and that summer of 1931 his father took him to Chicago where he was appearing in a production of The Merchant of Venice. Young Tyrone was given a small part in the play. The two later returned to Hollywood where the elder Power began work on a film. Several weeks into production he suffered a massive heart attack at the Hollywood Athletic Club and there he died in the arms of his son. By 1935, Tyrone Power, Jr., as he was then known, had made his way to Broadway and been taken under the wing of stage icon Katharine Cornell. He had a small role in Flowers in the Forest (1935), a play the actress produced, and Romeo and Juliet (1935 – 1936), in which Cornell and Maurice Evans starred. When he appeared in a supporting role in St. Joan (1936), starring Cornell, Power was approached by talent scouts from 20th Century Fox and offered a screen test; Katharine Cornell told the young actor he was ready for Hollywood. She was right. 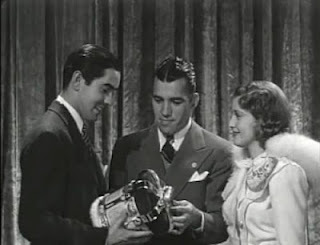 Power’s brief appearance in his first film for Fox, Girls' Dormitory (1936) prompted a deluge of fan letters. Legend has it that powerful Hollywood columnist Hedda Hopper stayed to watch a second showing of the film just to check the credits for the name of the handsome young actor she’d spied in a brief role toward the end of the film. It was with his third outing for Fox in 1936 that Tyrone Power became a star. Child actor Freddie Bartholomew, who played protagonist Jonathan Blake as a youth, was top-billed in Lloyd's of London. Fourth-billed Tyrone Power, who had far more screen time than anyone in the film, portrayed Blake as an adult. Only 22 at the time, but handsome, charismatic and self-possessed, Power walked away with the film. He would share top billing on his next major production, In Old Chicago (1937), with Alice Faye and Don Ameche. Following the film’s great popular success, Fox would re-team him with Faye and Ameche in Alexander’s Ragtime Band (1938). 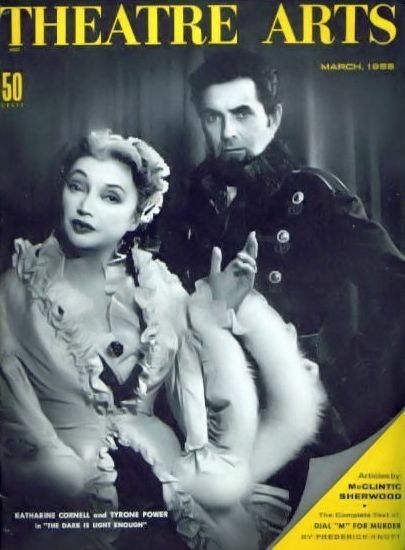 Later in 1938, on loan to MGM, he appeared opposite Norma Shearer in the costume melodrama Marie Antoinette. Tyrone Power was now a firmly established leading man. Before joining the U.S. Marines and departing for World War II, Power would star in one of his favorites, the vivid Technicolor Blood and Sand (1941). Directed by Rouben Mamoulian, it is the story of a brilliant bullfighter undone by temptation and jealousy. Power was apparently entranced by co-star Rita Hayworth, one of his two leading ladies (the other was Linda Darnell), and his stand-in reportedly noticed that the actor could not take his eyes from her throughout filming. Also prior to entering the service, Power completed A Yank in the R.A.F. (1941), a war-time romance that paired him with Fox’s other superstar, Betty Grable. He also appeared in The Black Swan (1942), a Technicolor swashbuckler in which Maureen O’Hara, as an aristocratic young beauty, plays hard-to-get with Power’s character, a dashing reformed pirate. Tyrone Power was about to turn 28 when he joined the USMC. He had developed an interest in flying through director Henry King and flew in the Pacific during the war, carrying supplies into Iwo Jima and flying the injured out, often under heavy enemy fire. When he returned to Hollywood just a few years later, he seemed to have aged. Though still very handsome, he appeared world-weary. Power returned to the screen in the Edmund Goulding-directed production of Somerset Maugham’s The Razor’s Edge in 1946. Myrna Loy later remarked on the spiritual quality she saw in Power’s eyes. As Larry Darrell, a war veteran on a quest for enlightenment and meaning in The Razor’s Edge, she believed he was perfectly cast, “That was Ty,” she said. Though Buck was originally drafted to pilot The Geek, Power confided early on that he would like to do most of the flying himself. Buck quickly learned that the actor “flew like an old pro” and relaxed into backing him up as co-pilot. Wherever The Geek landed, they were mobbed and sometimes pursued. 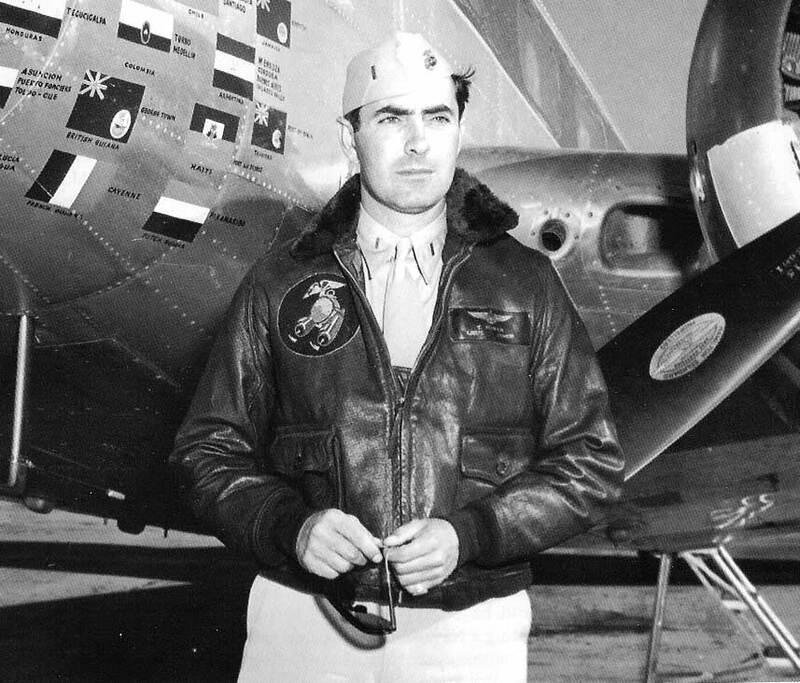 Even landing in a jungle in Liberia and greeted by only two natives, one of the two pointed to Tyrone Power and said, “I know him.” When they arrived in Johannesburg, South Africa, Power’s group was welcomed by a crowd so large and enthusiastic that their driver commented, “they didn’t do this for the king and queen.” According to Buck, Power believed that people weren’t reacting to him but to the characters he played and their own romantic fantasies. Buck felt this perspective “kept his head size normal.” Buck formed a life-long friendship with Power and saw in him an all-American guy and natural athlete who could also talk religion, philosophy, art and literature. He had a photographic memory – which Buck witnessed first-hand when he watched the actor scan a script and then discuss it in great detail. Once The Geek made its way to Europe, the group spent some time in Rome. It was there that Power encountered Linda Christian, a young starlet he would marry the following year. They would have two daughters before divorcing in the mid-‘50s. Back in Hollywood, Power’s career would continue with a mix of swashbucklers, adventures, light fare and big budget A-films. In 1951 Power went on the London stage for a six month engagement of a Joshua Logan-directed production of Mr. Roberts. It was a sold-out run and Variety characterized his performance in the title role as a “warm, colorful and meaningful interpretation.” He toured the U.S. very successfully in John Brown’s Body and took it to Broadway in 1953 with Raymond Massey and Judith Anderson. He returned to Broadway in 1955 with The Dark is Light Enough, starring with Katharine Cornell (a young Christopher Plummer would win a Theatre World Award for his supporting performance in the play). Power’s final Broadway appearance came in Back to Methuselah in 1958 with Faye Emerson. In 1958, 44-year-old Tyrone Power married 26-year-old Debbie Minardos. They traveled to Spain in September where he was to film the King Vidor epic Solomon and Sheba. On November 15, Power collapsed on the set during an arduous swordfight scene with George Sanders and suffered a massive heart attack; he died on the way to the hospital. It had been ice-cold on the set that day and he was a heavy smoker. Power’s wife gave birth to their son, Tyrone Power IV, in January 1959. “His voice was beautiful to listen to, deep, clear and strong,” Bob Buck wrote; his dark, long-lashed eyes radiated warmth and a soulful quality. He performed with sensitivity and conviction and he brought to the screen a certain nobility and tempered reserve. He was Fox’s top leading man for more than 15 years and though his late career had its ups and downs, his last films were some of his greatest successes. He has been called “illegally handsome” and perhaps his looks, coupled with a powerful onscreen charisma, blinded both studio and audience to his actual talent and capacity to be something more than a leading man. Today, August 25, Turner Classic Movies honors Tyrone Power with a full 24 hours of his films as part of its annual Summer Under the Stars celebration in August. Click here for the schedule of films. Click here for more on Michael and Jill’s Summer Under the Stars blogathon. Lady Eve, I am so pleased to see you’re sharing in the Ty-love, to seem him as the subject of one of your excellent biographical tributes. You’ve included a wonderful collection of memories of an actor who had an ethereal quality in both his physical and spiritual natures (Claire Trevor seems to have captured something of this in her portrait). I suspect it is a near impossibility to write about Tyrone Power and not mention his alluringly dark looks, but it is equally impossible to deny it was part of his legacy. My heritage is somewhat similar to his, in that I have French and Irish ancestry, and I can remember growing up hearing about “the Black Irish”. The term meant little to me until I learned more about Power, and I can almost imagine one of the crew of the Spanish Armada in Power’s lineage. I had a bit of “a Ty moment” this past week when, during a bit of a reunion, we began looking at family photos. We were looking at a particular photo of my grandfather and I remarked how he reminded me of a “matinee idol” with his dark wavy hair and blue eyes evident even in the black and white photo. My father responded, in what was a bit of synchronicity for me, “He looks like Tyrone Power”, which, with respect to my father and grandfather, wasn’t the actor I would have guessed, but there is that French connection. 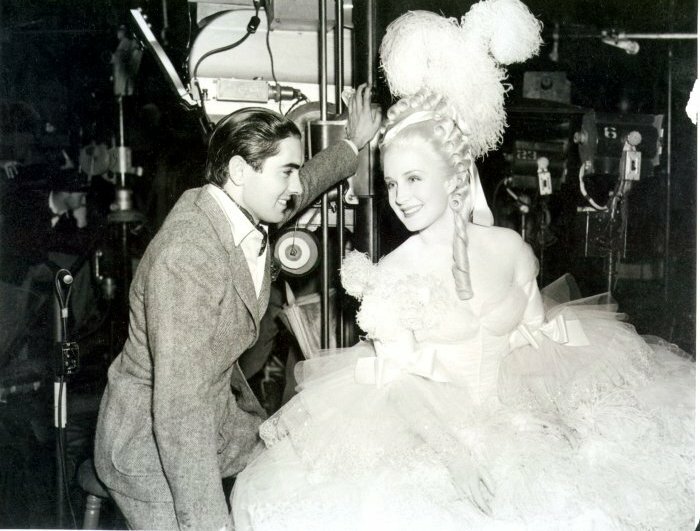 My attempt to make a personal connection aside, Tyrone Power’s life and career were fascinating and equally full of contradictions (can you tell I’m rather fond of him?). 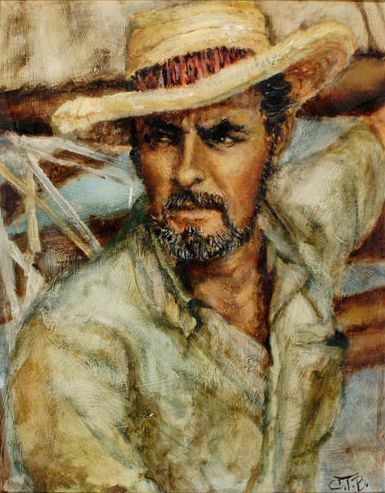 Gypsy, I was thrilled to see that TCM was honoring Tyrone Power with a day this year - giving me the opportunity to finally write something about him (having been mad for him since about age 7). So, yes, we are sharing the Ty-love. As for "Black Irish," I've always thought him the epitome of the description (as well as "tall, dark and handsome"). I imagine that his looks may have seemed, once his career was well underway, something of a curse as well as a blessing for him. He clearly wanted to be taken more seriously as an actor and be offered more substantive parts. One of his directors remarked that what he really wanted to be was a character actor. During the era of the studio system, of course, "type" was essentially law, and Power was a leading man. I have to wonder if he may secretly have been happy that he lost his youthful glow and aged a bit prematurely with WWII. Paul, I think Tyrone Power does a fine job as an actor in many of his films - including the swashbuckler "The Mark of Zorro" where he has the chance to play foppish dandy Don Diego as well as his alter-ego, daring masked outlaw Zorro. Power's own favorites were "Blood and Sand," "Nightmare Alley" and "Witness for the Prosecution." My feeling is that he, Errol Flynn and Ava Gardner would all of been fabulous in "The Sun Also Rises" had it been made 10 years earlier - each seems a bit long in the tooth for their part by 1957. I think that the 3 of them being a bit to old makes the film more bittersweet,I'm not as sure I would have believed Ava leaving Richard Evans Bull Fighter if she was 10 years younger. I think it 's funny that none of Ty's favorites were with the director that he made more films with than anyone else Henry King. I don't know, I envision the characters as in their 20s and 30s rather than 30s and 40s. I have to be honest, though, that I've never been a big fan of the film, though I've seen it many times. I've always found it interesting that I've never had the problem with the ages of the actors in The Sun Also Rises that other people seem to have. In the book, the only characters whose ages are specifically given are Brett and Robert (Ava Gardner and Mel Ferrer in the film). They're both pinned down to 34 (making Ferrer a little old, but Gardner almost exactly the right age, at (offhand) 35). Despite the fact that Jake (Tyrone Power) is based on Hemingway himself who would have been in his mid 20s, I've always felt as though he saw himself as older than that when he was writing, and that most of the other characters are also older than Brett and Cohn (the obvious exception being Romero). But I do think that Errol Flynn and Power both do brilliantly at pinning down the drunken hopelessness, and the bitter detachment, of their respective characters. I don't think it works on all levels (eg, it irritates me that the ending is made more hopeful for Brett and Jake in the film than in the book - hello, Mr Zanuck the optimist!! ), but I've always felt it to be a much better film than a lot of people seem to believe. Admittedly, I am no fan of Tyrone Powers though I like some of his films (JESSE JAMES, WITNESS FOR THE PROSECUTION and NIGHTMARE ALLEY) Generally, when I see a movie with him, even one I like, I always see the words MOVIE STAR stamped on his forehead as opposed to actor. Your essay though is engrossing and I love the photo of him and Marlene in WITNESS. John, Well, he certainly was a movie star, one of the biggest. Movie stars these days wear prosthetics, etc., and work in indie films to develop their acting "cred" (aka/erase the "movie star" stamp from their foreheads). These things weren't an option in the studio era. I couldn't resist that shot of TP and Marlene from "Witness," so Billy Wilder. Let me mention Wing and a Prayer, in which Dana Andrews played second lead to Tyrone Power. My biography of Andrews includes his account of driving with the Power to New London, CT, where the film was shot. Carl, Thanks for stopping by - I'm very interested to read your new biography, "Dana Andrews: Hollywood Enigma." I think the film you're referring to is "Crash Dive," Power's last film before his departure for war service. Lovely profile, Eve. I'm glad that Powers fought to make NIGHTMARE ALLEY, which contains (in my opinion) his best performance. It's also one of his best films, too, though my favorite is probably WITNESS FOR THE PROSECUTION. Rick, I admire Tyrone Power's performances in both films, too, and applaud him for fighting for "Nightmare Alley" and going after the role in "Witness for the Prosecution" (he wasn't Wilder's first choice). And yet, I can't resist him as a romantic lead either. Had he lived a long life he would probably have gotten more and more of the kinds of roles he so wanted to play. I'm so thrilled that Tyrone was featured on TCM - at long last, after years of nagging, TCM entered into a licensing agreement with Fox. They are showing Nightmare Alley I believe next week, and I hope people watch. Tyrone was a wonderful actor, capable of so much more, but stopped because of his looks and Mr. Zanuck. You can imagine as the #2 star in the world, he received plenty of outside offers to do films. But after Zanuck saw that the role in Marie Antoinette was in essence a supporting one, he refused to lend him out again. So Tyrone lost Golden Boy, Kings Row, and other films. This to me has hurt his legacy. He has classic genre films like Zorro, but no Casablanca or Gone with the Wind type film - thanks to Darryl Z. As far as Witness for the Prosecution, yes, he wasn't the first choice, but there would not have been a film without him. Arthur Hornblower, the producer, wanted Power for two films. When Power initially turned down Witness, the project ceased to be. Later on, they decided to try again and offered Power much more money and a percent of the gross. At the time that he died, he and Laurence Olivier were planning a stage production of Othello, with Power in the role he longed to play, Iago. It was the stage that he loved the most. Mrs. R., Thank you for your fascinating commentary on the career of Tyrone Power. I have read that Harry Cohn was desperate to star Power in a Columbia picture and that the opportunity finally came with "From Here to Eternity." Power was offered the lead but turned it down to do a play ("John Brown's Body" -?). He would have been a very fine Sgt. Warden, I think. I've also read that Selznick wanted Power for the Ashley Wilkes role in "GWTW," but Zanuck refused. Ty would have been far more credible as the man Scarlett O'Hara preferred over Clark Gable's Rhett Butler than Leslie Howard. I wasn't aware that Power longed to play Iago or that he and Olivier were planning to work together on "Othello" - but I have heard that Olivier and Power were distant relatives. I do see Tyrone Power as a stage actor with movie star looks and charisma. Although his looks weren't as impressive to me as to you, Eve (not being a female, perhaps my views in this area lack authority) he did have several performances that left lasting impressions on my youth: There was "The Eddie Duchin Story", which, though not much of a movie, paritally inspired me to take up the piano (although without the presence of high society or Kim Novak); "The Mark of Zorro", which was probably my favorite swashbuckler film - Power was perfect for that role and he seemed to especially delight in the foppish, preening alter ego of Don Diego; and, of course, "Witness For the Prosecution" where I do think he showed he was able to expand as an actor with age (from that role I could well imagine him doing Iago). Your well-written piece presents Tyrone Power as quite a nice man who had more substance than just being a movie star. I do agree with you on "The Sun Also Rises". I know there is a dissipation and loss of innocense to the characters but I thought the Lost Generation in the film came off as much over-the-hill as they did decadent. MCB, That Tyrone Power was from a stage background comes through on screen, I think - he has that sort of presence. I suspect that growing up in a theatrical household - on the stage with his parents, appearing in school plays, trained in voice and coached as an actor by his mother - had a lot to do with the poise and maturity he displayed at an early age. It's always hard for me to believe that he was only 21 or 22 when he made "Lloyds of London." "The Mark of Zorro" is one of my very favorites of his. "Blood and Sand," "The Rains Came" and "The Razor's Edge" are others. I also like him very much in "Witness for the Prosecution" (I like him in most of his films). There is a one, "Abandon Ship" (1957), that I haven't seen. It's about a cruise ship sunk at sea and the struggle for survival of those who escape in a lifeboat. I've heard he's very good in it and that it was one of the films of his that he was most proud of (also - "Blood and Sand," "Nightmare Alley" and "Witness for the Prosecution"). Would like to see it. Oh, golly, this was FASCINATING and so well-polished, Lady Eve. GREAT job!!! I met Tyrone Power's son at the George Eastman House last year, when he presented Zorro and he was charming and handsome--not quite as much as his dad, though...who could be? His son reiterated what you shared here, that Ty could fence RINGS about Errol Flynn (spoken like a true son!). Ty Power and Loretta Young were often teamed and Jeanine Basinger (oft-times on-screen expert in DVD extras and on TCM) said that it's impossible to tell who was more beautiful! I loved this essay, so thanks for drawing my attention to it! I think he was a terrific guy and a fine actor and missed out on developing his craft because of that darned amazing face! I'm so glad you shared this! Well-done, my Lady! I'd love to find that LY comment...she was typically not the nervous Nellie type, confident in her own beauty as she worked like the Dickens to make sure it was "perfect"..I had heard they actually enjoyed each other's company! Anyway, yes, that duel is epic and I love it every time I watch it. On the big screen, it's breathtaking! What I read didn't indicate that Loretta and Ty didn't get along - sounded more like the professional concern of a leading lady who is expected to be the dazzling center of attention while on camera. Ah, Kay, I was the one who introduced Ty Jr.! Wasn't he wonderful? Hi, Maria! So nice to see you here! Let's get together!!! Kay's Right about Ty's fencing. Basil Rathbone said that Ty was the best fencer in Hollywood. Basil was quoted as saying "Flynn scared the hell out of me". Now that I've gotten through all of the Blogathon posts I had to come back and tell you how much I enjoyed this tribute to Tyrone. I adore him! He can do no wrong in my eyes although I admit. he appeared in some stinkers. I might have mentioned previously that I got to see Abandon Ship recently for the first time and I really enjoyed it. A couple of my favorites are Blood and Sand and Jesse Janes although he was so gorgeous and wonderful in Marie Antoinette. That says a lot since I'm not a huge fan of Shearer. Your tribute is truly enjoyable and worthy of such an icon. I just wish he had been around longer to give us more stellar performances. Great photos too! Page, Wasn't it wonderful that TCM devoted a SUTS day to Ty this year (at long last)? I'm hoping now that TCM has an agreement with Fox that a "Star of the Month" tribute for him is not far off. Would love to have at least a day of every week for a month devoted to him. Imagine seeing every film he ever made from his very earliest bit parts through to "Witness for the Prosecution." 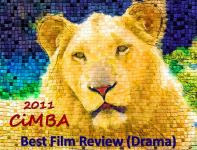 I would even be willing to watch the long shots that remain of him in "Solomon and Sheba." I read that King Vidor said that had Power been able to finish the film it would have been worthwhile but that without him it was nothing. Meanwhile, I'm still working my way through the Gene Kelly blogathon posts. Quite a lot of participants contributed great stuff - so I'm taking my time. He was a handsome man, wasn't he? Loved your profile. He was handsome, a "natural athlete who could also talk religion, philosophy, art and literature" - and I was born too late. Thanks, Kim. Quite a great post Lady Eve, and I think Tyrone Power deserves all the accolades he can get. I do think he was the most handsome male actor there was in Hollywood during his youth - more mysterious, mesmorizing, and dark than the facile Robert Taylor, Paired with Loretta Young in "Love is News" and "Cafe Metropole," there is no more handsome couple to be seen (see Hurrell's dual portraits from these films). And his Zorro with Basil Rathbone is still my favorite Zorro. As a former fencer, I consider their dual in the movie the best to be found on screen. And he could act, and as you indicate, his looks and popularity, if anything, got in the way of better roles. Here's to Ty Power and here's thanks to you. Christian, Robert Taylor was attractive onscreen, but he never seemed at all mysterious to me, nor did he project the warmth that emanated from Power's gaze. There was something about Tyrone Power, and I think Myrna Loy touched on it, a soulful quality that comes through on camera. I have seen the Hurrell portraits you mention and they are beautiful. The sword fight in "Zorro" is even more fascinating to watch knowing that both Power and Rathbone were accomplished fencers. I like to imagine that Ty actually carved that "Z." Wow - what a lot of great info on Tyrone P.! Lots of things I didn't know before. My fave Ty movie is "Witness for the Prosecution. Thanks for such a thorough biography of this compelling actor. Silverscreenings, He led quite a life in his 44 years. He'd been a movie star half his life by the time he died. 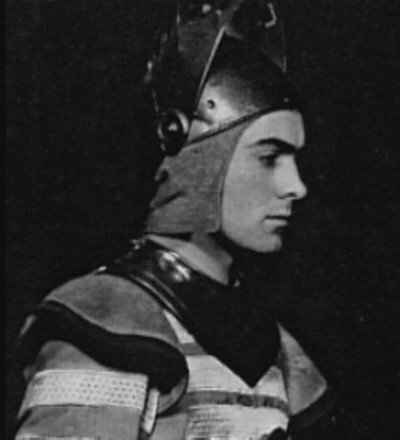 www.tyrone-power.com is a wonderful source of background on Tyrone Power for those who would like to learn more about him. I was so happy that Tyrone was featured on TCM. Whenever anyone mentions Tyrone Power, I think of Gene Tierney. I always thought they were one of the most romantic couples of the Golden Age of Hollywood. I loved the 3 movies they performed together: Son of Fury (1942), The Razors Edge (1946) and That Wonderful Edge (1948). Another favorite Tyrone film is, Blood and Sand. Dawn, I haven't seen "Son of Fury" for quite a while and am not sure I've seen "That Wonderful Urge" at all, but I do think "The Razor's Edge" is one of Tyrone Power's best as well as Gene Tierney's best films. Awesome post Lady Eve! As always, wonderfully written with lots of fascinating information. It took me a while to get past that pretty face and to see just how good he really was. For me, he can't be beat in Nightmare Alley. FlickChick, I'm not sure I've ever gotten over his face, but I've definitely come to appreciate his ability an actor and his depth as a person as I could not when, as a child, I was entirely bedazzled by his looks. Late to the party as usual, and my apologies, Lady Eve, but boy, what a lovely essay. Big Tyrone Power fan here, and I will always consider his portrayal in "The Mark of Zorro" to be the finest acting ever for a swashbuckling lead (with apologies to Mr. Flynn). He's perfect in the role, and should have garnered an Oscar nomination for it. Like Robert Taylor, I think his post-war performances are more interesting than his pre-war ones. He's great in "The Razor's Edge" and "Nightmare Alley" is probably his best performance. Of course, he's splendid in two swashbucklers from Samuel Shellabarger novels, "Captain from Castile" and "Prince of Foxes", but he's probably a tad too old for the roles (as compared to the books). But few actors wore costumes as well as Power did. The one Power performance that disappointed me when I finally saw the film is the time-travel romance "I'll Never Forget You". He's very bland, and for someone who has time traveled into the past, he's very blase about the whole thing. His premature death at the age of 44 was one of Hollywood's great tragedies. Still need to see "The Mississippi Gambler" and "Abandon Ship" to complete my viewing of the entire Power filmography. Kevin, Good to hear from another Tyrone Power fan (and it's always better late than never)! I'm hoping TCM will honor him as "Star of the Month" one day soon and air every film of his that's available - what a month that would be and a great chance to catch up on those films of his we haven't seen. My favorite of his swashbucklers are "The Mark of Zorro" and "The Black Swan," though "Zorro" is the far better film, a true classic, and he is flawless as Don Diego/Zorro. I just discovered your wonderful classic film blog via Pinterest. How great that you are keeping the Golden Era alive and bringing more fans together. I see that you 'liked' the FB page on 'Tyrone Power Postage Stamp for 2014. This effort continues . . .and in addition there are plans being made for a celebration of Ty's 100th birthday in his hometown of Cincinnati. If you want more info, let me know. Hi Geri, Love your Tyrone Power page on Pinterest - many pix I'd never seen before (I copied and saved a few). Please do send me more info on all celebrations in honor of his 100th birthday: ladyevesidwich@gmail.com. I'm hoping that Ty's centennial year brings celebrations in Hollywood, on TCM - and the Fox Movie Channel, too. Would love to see him receive "Star of the Month" honors on TCM in May 2014 and would hope that TCM'ss 2014 classic film festival - which will be just ahead of his birthday - features his films. I'm happy to see that "The Razor's Edge" will screen at this year's festival. I may make the trip down to Hollywood just to see it on the big screen. So happy you found my blog. 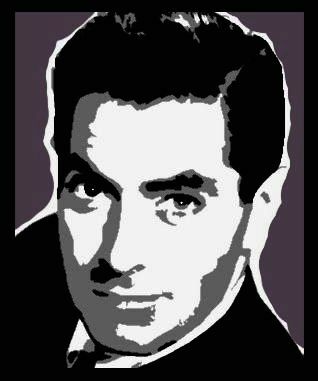 I'm planning a year-long tribute, from May 2013 - May 2014, to Tyrone Power on this blog. If you would like to participate, just let me know. Thanks, Maria. I'll be making a donation and will include this information in a sidebar gadget and future posts on Tyrone Power. I don't see mention on this page of The Black Rose, which seems to me such a fascinating movie and his performance in it one of his finest, in my view. It's definitely a characteristic swashbuckler, but all of the main characters have depth and soul and the ending is so movingly bittersweet. I loved reading Bob Buck's memories as you record them here. It seems clear that Power was truly someone who lived his life in an aware manner despite his existence in the glare of the flashbulbs. And it does often seem, doesn't it, in retrospect, that those who are destined to die at a relatively young age live their lives with more focus and passion than others? Certainly, having had his father die in his arms must have given him a sense of how precious life must be while it runs. I have to say that I haven't yet seen him give a mediocre performance. Though some of his earliest roles are a bit callow, there's always that something special and unique kindling in his eyes -- intelligence, individuality, curiosity, vitality -- in any moment onscreen. It would have been something to be able to see him on stage, able to manifest his physical agility in three dimensions. I wish he could have known that, as impressive as his most acclaimed roles may be (Razor's Edge, Nightmare Alley, Witness for the Prosecution and the rest), his acting was markedly fine in EVERY role, no matter how pretty he was. Thank you for your perceptive and thoughtful comments - I'm only sorry it took me this much time to respond. How true it is that though some of his early roles were "a bit callow, there's always that something special and unique kindling in his eyes...in any moment onscreen." He was an amazing combination of talent and beauty and vital presence.